This morning we started a little test at work. Someone wrote an “8” on the white board in the kitchen. And based on the opinion of everyone in the room, they did it wrong. They started on the right and pulled their pen down and around. The next person picked up the pen to show how they drew the “8”. It was started the other direction and wrapped around itself. The third person drew two circles. The fourth had an entirely different angle and path to their numeral. 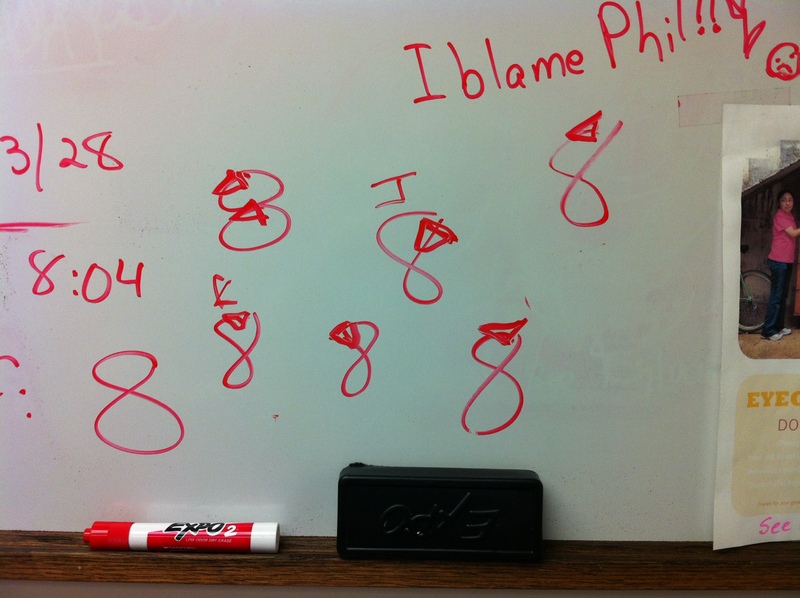 Before we were done, seven employees drew their “8’s” and each and every one, without exception, was different from the one before. It’s the reality of life, isn’t it? A favorite diet book suggests that every person eat the same thing and they will benefit from the plan. We drive similar cars. We wear similar clothes. We use similar toothpaste. But in the end, we all do things differently. Our food is cooked with more or less oil, salt or flavor. Our driving pattern is faster, slower, safer or more dangerous. Our shirts are wrinkled or ironed, tucked in or hanging out. Each one of us is unique. And that’s a good thing. The secret is not to worry about confirming to an expected norm. The secret is to be who we are created to be and be the best possible person within our power. Your eight might not fit the standard numeral system…but then again, there might not even be a standard system. That idea could change everything.